In the previous chapter (This is not an Attack) I talked about how a person is not necessarily an apostate or troublemaker simply because he speaks out against a popular view. Sometimes it is necessary to speak out to bring the truth to light. The life of the British surgeon Joseph Lister (1827-1912) is a good example of this. At one time having surgery done on you was pretty much a death sentence. Funeral arrangements were usually made for those who were scheduled to have surgery. A common report by the surgeons was: "The operation was successful, but the patient died." In hindsight, it is easy for us to see that using non-sterilized equipment caused post surgery infections. However, back then, the doctors didn’t realize their hands and surgical tools were covered with microscopic, disease-causing organisms. They didn’t realize they were flooding their patient’s body with a deadly army of bacteria and viruses. The doctors were unknowingly killing their patients. This problem, now known as operative sepsis, was called hospital disease. Joseph Lister had been studying Louis Pasteur’s research on bacteria and its possible connection with infections. From this research, Joseph Lister concluded surgical infections were the result of the introduction of bacteria via the air, hands, etc. 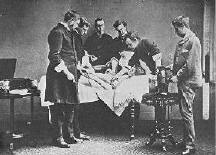 In 1865, Joseph Lister developed an antiseptic surgical procedure and had remarkable success with his own surgeries. Our current hospital procedures are based on his antiseptic procedures. You would think the medical community would have welcomed this helpful information. They didn’t. 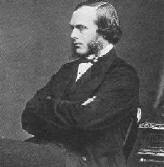 In fact, Joseph Lister was ridiculed, criticized, and harassed. The medical community didn’t like having its status quo questioned. The nurses regarded Lister’s procedures as eccentric, and they resented the extra work his obsessions with cleanliness were causing. The doctors were angered at the implication they were responsible for some of the deaths. Louis Pasteur and Joseph Lister were personal friends and supported each other when the medical community viciously attacked them. Sometimes they felt they were alone in their struggles to bring the truth to light. People were needlessly dying, and it seemed nobody was listening. The Germans were the first to use antiseptic surgery (during the Franco-Prussian War) and thousands of lives were saved. America and England stubbornly held out. After many years, however, they slowly (and reluctantly) started implementing antiseptic surgery. History, of course, has shown Joseph Lister was correct. His persistence has saved millions of lives. The death toll of WWI and WWII probably would have been ten times greater had it not been for antiseptic surgery. In fact, had it not been for antiseptic surgery, many of you would not be here today because your forefathers would not have survived the wars. Joseph Lister was not attacking these doctors; he was only trying to be helpful. He was only trying to prevent needless deaths. I am not comparing myself with Joseph Lister, but my motivation is the same as his. I’m concerned about the fate of an endangered world. I am only addressing this issue because I believe billions of people are needlessly going to Hell. I am only trying to be helpful. Based on Joseph Lister’s research, Dr. Joseph Lawrence created an antiseptic mouthwash. 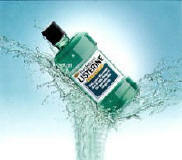 In honor of Joseph Lister’s contributions, Lawrence named the mouthwash after him (Listerine®). The verdict, however, is still out on whether Joseph Lister actually appreciated this honor.